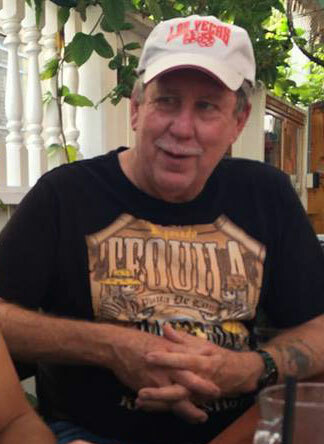 Keith Edward Pereau, 65, of Fleming Island, FL, unexpectedly passed away Sunday, July 15th, 2018. Keith was born in Port Washington, Long Island, NY and moved to the area 35 years ago. To most people, he was known as a savvy businessman and a true entrepreneur–a human calculator. He had the street knowledge and intelligence to become successful. Even if the world crashed down, he would rise back up fighting–stronger and hungrier. He was a man that could do anything–from running FedEx routes to building and running gas stations to becoming a commercial and residential developer–all with a beer in his hand. With that much success, comes a lot of rewards. His saying was “You got to have money to ride trains and drink whiskey.” He did just that without fail! He’d drive to Daytona to watch the NASCAR races and enjoyed trips on his Harley Davidson. And we all know how much he loved his high dollar sports cars, specially his beloved Corvettes. But he also likes to relax and enjoy his life. Whether he was fishing and boating or just escaping to The Keys to find some serenity, he loved life to the fullest. To those of us who are lucky enough to know the real Keith Edward Pereau, we know that the business part of him is just one part of who he truly is. His friendship was a force to behold. What was most important to him was his family. Most of all, he loved spending time with his four sons. And it’s never anything fancy, just him and the sons enjoying a pitcher of beers, talking and laughing. He had that infectious laugh that reaches your soul and you can’t help but laugh along with. He pushed them to be their best by constantly challenging them. He made them the men they are now–strong, confident, smart, kind, but with a conviction to be the best in everything they do. Keith Edward Pereau is preceded in death by his parents, Donald Savoy and Francis Pereau. He is survived by his four sons, Frank Pereau, Kirk Pereau, Donald Pereau, and Keith Pereau; one brother, Wayne Pereau; two sisters, Donna Reed and Charlene Pereau; three grandchildren, Jasmine Pereau, Jordan Pereau, and Isabella Pereau; and the mother of his sons, Lydia Pereau. Funeral Services will be held 11:00am Saturday, August 4, 2018 in the Chapel of Russell Haven of Rest. Visitation with the family will be one hour prior. Burial will follow in Russell Haven of Rest Cemetery. I don’t know your family but saw it on Fb and have been following and praying since he first was missing .. my heart breaks for you’re family , heaven is for sure brighter since his arrival .. I pray for peace and comfort over your family and that justice be served swiftly ..